Jorge sitting in his favorite spot. Adilia, a sponsored youth in El Salvador. 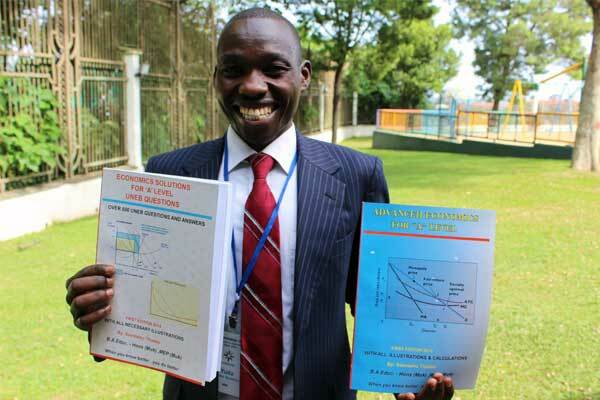 Yuda, now 27, holds two economics textbooks he authored. Manish and his mother, Shakuntla. 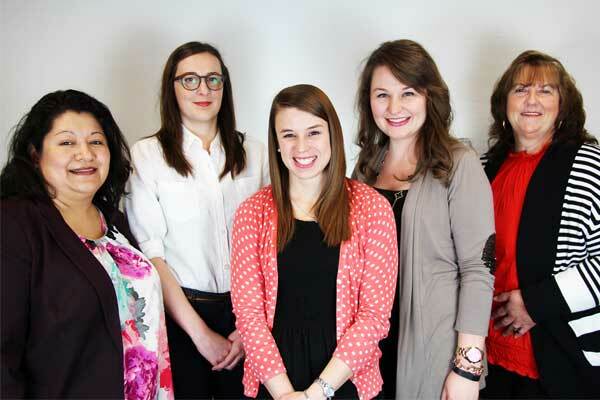 Unbound’s Outreach Volunteer team, from left: Claudia Vázquez-Puebla, Lydia Leffelman, Clair Paul, Laurel Harrold and Maureen Ortiz. As we celebrate Thanksgiving in the United States, we thought it would be good to have an encore presentation of some of the stories we featured on the Unbound blog in 2015. Each of these stories reflects gratitude, expressed in many ways and for a variety of gifts. They represent just a few of the hundreds of stories we have presented over the years about people for whom thankfulness is not just an occasional sentiment but a virtue that marks every day of their lives. We hope you enjoy these simple stories of gratitude, and we hope you will add your own story to them. May you and yours enjoy a blessed Thanksgiving, and please know how grateful we are to have you as a member of the Unbound community. 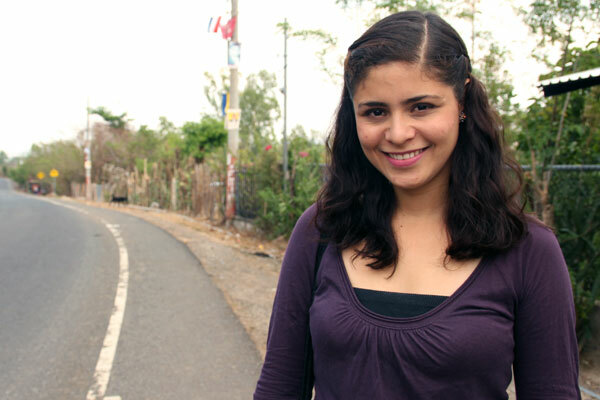 Adilia is a college student in El Salvador. She rises early and goes to bed late and has to travel far each day to get to and from school. But for all her challenges, Adilia is filled with gratitude for the opportunity to have her dream of an education fulfilled. With the support of his sponsor, Mary, Yuda has now earned his master’s degree in educational policy and planning. Read the story of a young man with big dreams and the sponsor who believed in him enough to help those dreams come true. 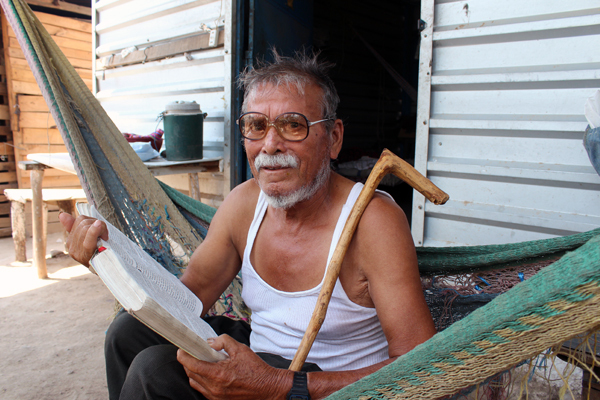 Jorge is an elderly gentleman living in Guatemala. His story is especially gratifying because at the time it first appeared in our blog, he was still waiting for a sponsor. Now he has one and thanks God daily for the blessings of Unbound. The story of Manish in India is about a journey from darkness to hope. Forced by poverty to spend his childhood selling trinkets outside the Taj Mahal, thanks to sponsorship he is now living his dream of going to school. Beneranda inherited a small but precious piece of farmland from her father. 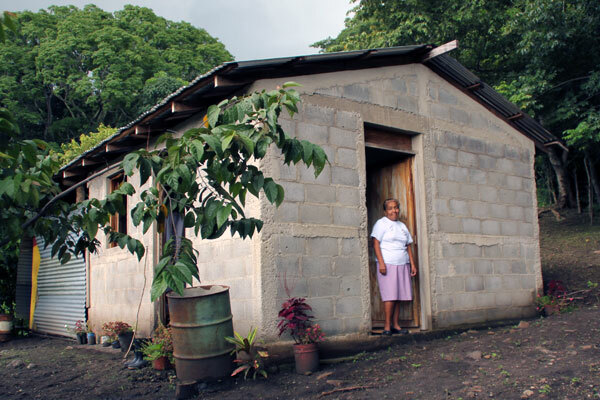 All her life she wanted to build a home on it but was never able to afford it. Finally, at the age of 57, her dream was fulfilled with help from the Unbound community. The Unbound Outreach Volunteer team has the happy duty of working with the hundreds of sponsors who help build our community of compassion by volunteering in a variety of ways. Read about the work of our volunteers and the team that helps them express their generosity with service. Express your gratitude through generosity and sponsor a child today. To all the volunteers in the Unbound community, God Bless you, and I thank you for being so generous with your time.